These diamond-shaped earrings are made of aluminum bright which are feather light, shines like silver and never tarnish. 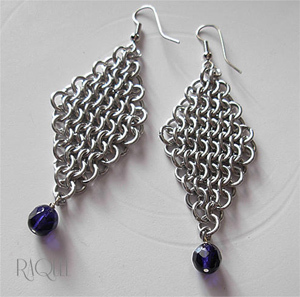 Their delicate mesh was hand woven in the European 4 in 1 flat pattern and accented with an iolite crystal. Great for office wear or nightwear!